Officially acknowledged as the Republic of Burundi which is situated in the regions of the African Great Lakes, this East African country is bordered by Rwanda, Tanzania, Central Africa and Democratic Republic of Congo. It is a landlocked country with portions flanking close to one of the deepest lakes on Earth, Lake Tanganyika. Burundi is a small country that has wealthy and interesting culture, wherein it also offer amazing wonders of nature. Blended with highest peaks and mountains and captivating scenery of the lakeside, Burundi can provide a simple yet breathtaking travel experience. 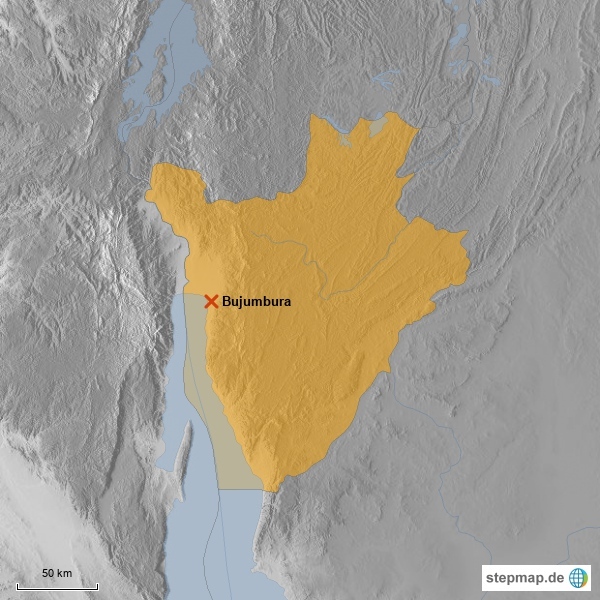 Bujumbura, which is the major port in Burundi and also the largest and the capital city of this East African country, was also called Usumbura during the old times. Oftentimes called as Buju, the country’s capital showcases colonial architectures, mostly showing huge influence of the French era. This destination also offers world class restaurants and cozy diners with French taste. One of the most famous tourist destinations in Burundi, Rusizi River National Park is a nature reserve situated north of the capital city Bujumbura. The fauna of this national park includes sitatungas, hippos, antelopes and fascinating species of birds. In addition, there are also species of monkeys found in this park. Rusizi River is where several crocodiles and hippos are seen enjoying the river, which makes Rusizi the most sought after Burundi destination. Burundi’s largest national park with more than 500 square kilometers, Ruvubu National Park is found in the north east part of the country. This destination is home to different African wildlife such as lions, buffalos, monkeys, leopards and hippos. Ruvubu National Park catches the attention of tourists because of the various species of birds lingering around the park, plus some aquatic and forest birds species. Known as the source of the Nile located in the southernmost part of Burundi, the pyramid found in this destination is believed to be the sign that this is where the Nile River originated. Source du Nil offers a picturesque and breathtaking view of nature which is why it attracts tourists. Nile is the longest river in Africa which run in five countries namely Rwanda, Sudan, Egypt, Uganda and Burundi. Named after the tallest among them, the Karera Falls, Chutes de la Karera is where four simple and beautiful waterfalls are surrounding one another. Nyakai I is said to be the most attractive one and Nyakai II is the smallest among the four. Mwaro Falls is the one near the tallest which is Karera and this amazing natural beauty is recommended to be visited between the months of October to January. With an approximate of more than 3300 hectares of wilderness, Kigwena Natural Forest is home to various species of animals such as baboons and butterflies. This destination is one of the protected areas in Burundi which attracts tourists because of its abundant flora and fauna. Kigwena Natural Forest was established in 1954 along the famous Lake Tanganyika. The second largest city next to Bujumbura was once the capital of the kingdom of Burundi during the old times. Gitega is the education and religion hub of the country as various institutions are offered here - from primary to vocational and technical courses. This is also where churches for Muslim, Protestant and Catholic are located. Gitega also houses the historical National Museum of Burundi and the karyenda, where the royal drums sanctuaries are found. A UNESCO World Heritage site entry, Gishora is where royal palaces and fields are situated, wherein it lies inside the Province of Gitega in Burundi. This destination is where the sacred drums from the old times are located. Gishora is also where two of the most important sacred drums in Burundi are kept namely Ruciteme and Murimirwa. Rumonge, which is the fourth largest town along the lakeside of the infamous Lake Tanganyika, is bordering Tanzania and Congo. This destination is known for its natural beauty which includes mountains, some landscapes and beaches, wherein one of the famous beaches in Burundi is the Saga Resh. Colonial architecture and influence that can be found in Rumonge includes European ang Belgian styles that adds value to the community. Lake Tanganyika, which holds three world records such as the second deepest and largest freshwater lakes on Earth, is truly a precious destination in Burundi as it is believed to be one of the longest lakes in the world. The lake is running through Burundi, Democratic Republic of Congo, Tanzania and Zambia, and is said to be one of the oldest lakes in the world.